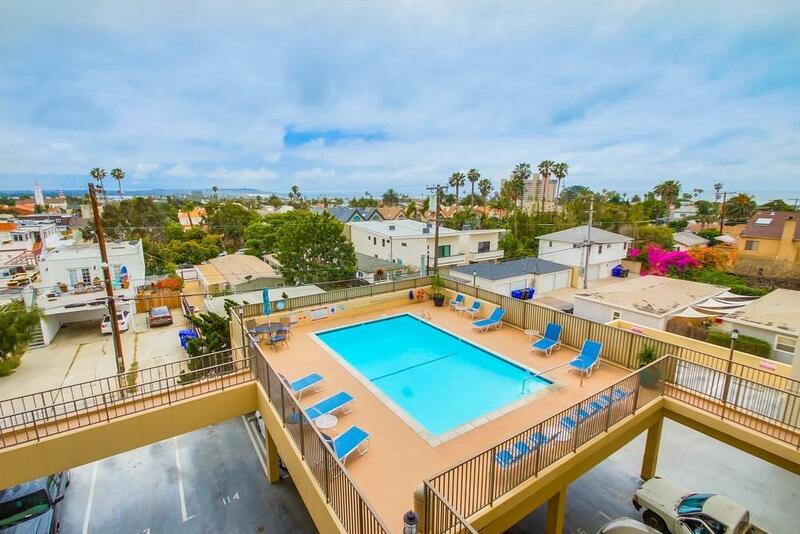 Enjoy the beach life with this updated 2 bed, 2 bath, 4th floor unit in North PB. Large windows in the living room and master bedroom complement a functional floorplan. 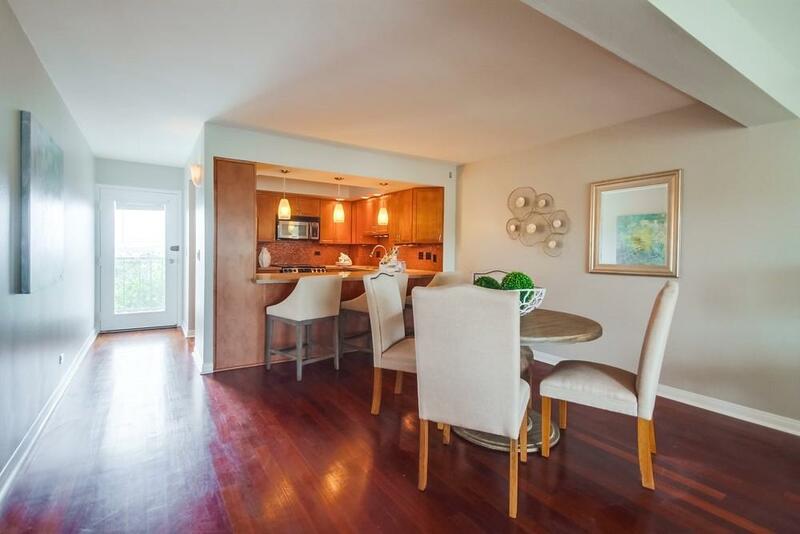 Featuring wood flooring in the living area and kitchen along with granite countertops and stainless appliances. 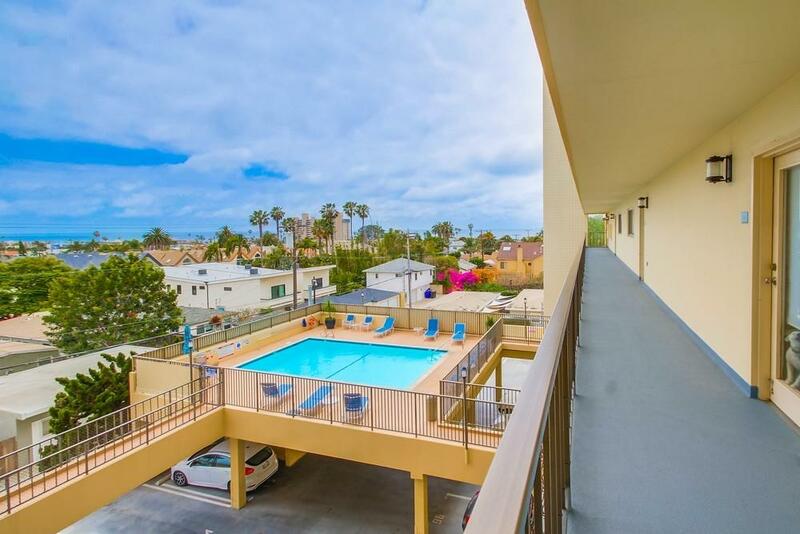 Take in sunsets from the private balcony or enjoy a dip in the community pool. 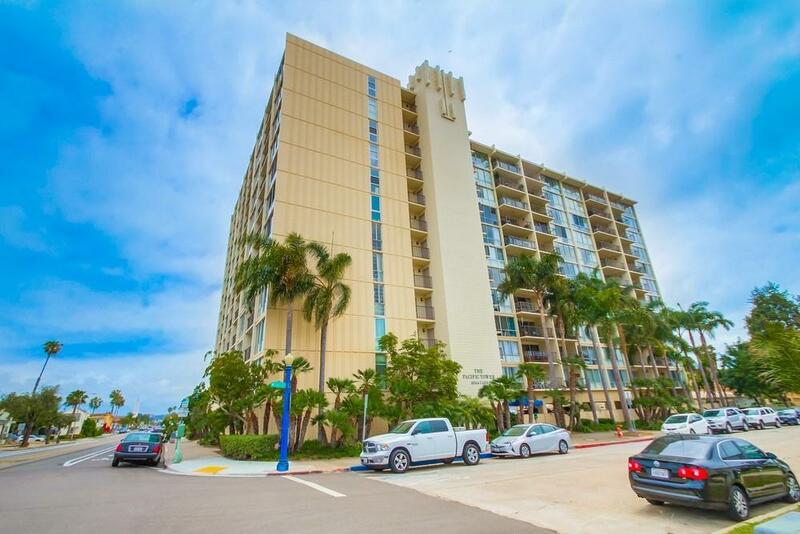 Located 3 blocks to the Ocean and featuring views of Mission Bay and the Pacific Ocean, this condo is also close to great restaurants and shopping. Common laundry & storage right down the hall. 1 assigned underground parking space#4 level G. Rentals must be 90 consecutive days. One domestic pet is allowed not exceeding thirty-five pounds exceptions can be approved with written consent of the HOA Board. Listing provided courtesy of Ocean Pacific Realty, Inc.. Listing information © 2019 San Diego MLS, Inc.